The Bermuda Police released a statement this afternoon (July 14) saying a special task force has been established by Bermuda Police Service and Department of Corrections to continue the systematic search for Mr Maybury, and issued a warning that harbouring a fugitive is a criminal offence for which a person can be sentenced to two years in prison. They also asked members of the public not to approach the suspect, but to contact police immediately to report clothing description, his location and his mode of transport if he is seen. 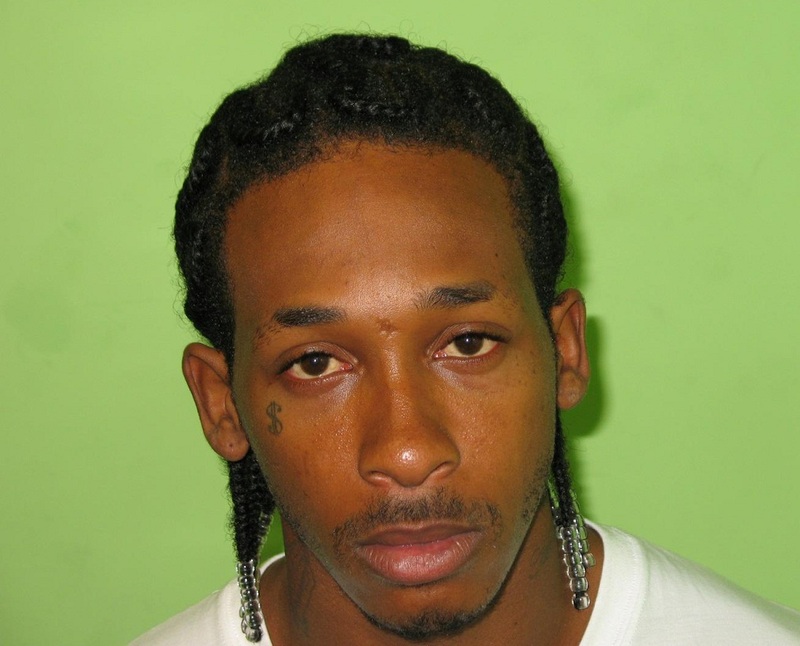 24-year-old Alvone Maybury (pictured, click to enlarge) was attending Magistrates Court, where he was charged with three gun related offences, when he took off running down Parliament Street. He had been in the custody of prison officers, and took off while still handcuffed with his hands in front of him. The Police launched a large scale manhunt all through the North Hamilton area; blocking off streets, stopping trucks and looking inside and more. It appears that Mr Maybury may be updating his Facebook page while on the run, with his account showing over a dozen posts starting from late last night, going on to 3pm today. Police are still looking for escaped prisoner 24 year old Alvone Maybury. It appears that 24 year old Maybury escaped from custody as he was being led from Magistrates’ Court after a court appearance on firearms charges. A special task force has been established by Bermuda Police Service and Department of Corrections to continue the systematic search for Maybury. He is described as brown skinned wearing his hair in braids. Police are appealing for anyone with any information on the whereabouts of this individual to contact police on 295-0011 or the confidential Crime Stoppers Bermuda hotline on 800-8477. The public is reminded that harbouring a fugitive is a criminal offence for which a person can be sentenced to two years imprisonment. Members of the public are asked not to approach Maybury, but to contact police immediately to report clothing description, his location and his mode of transport if he is seen. Mr Maybury seems to have some charming friends on Facebook! LOL charming AND stupid. If I had a facebook friend wanted by the police and all over the media I wouldnt be commenting on his status and encouraging him. Hmmmm lets see who the police is going to come and question now. We have a few volunteer morons ready to go, lets burst into their homes. Can someone direct me to this page/pages.